In sticking to yesterday's theme about black and white photos from the 40s, depicting dead, or dead-looking, women, I felt I had to do a post on the photo below too. 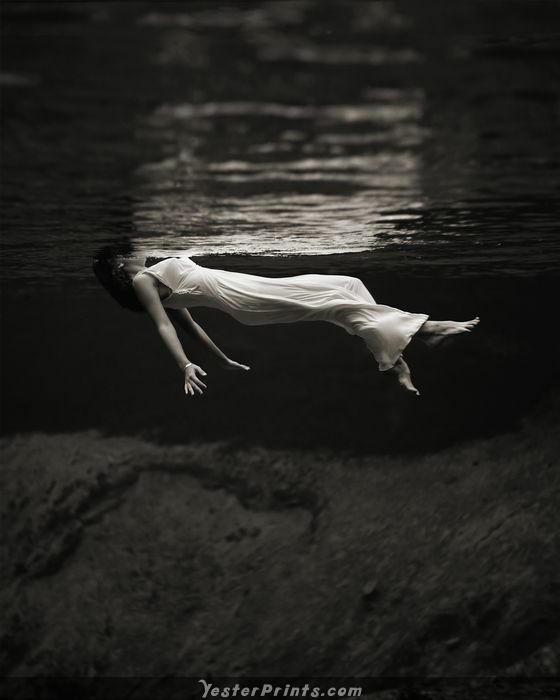 It depicts a woman floating in the aquarium at Weeki Wachee Spring in Florida. It was taken in 1947 by the photographer Toni Frissell.